When dealing with ultra high pressure (UHP), one of the most important considerations should be safety. Critical personal water blaster safety equipment should include a helmet with a face shield, ear goggles, boots, and some type of protective suit. Below are options for various pressures within the UHP category of pressure washers. Generally, UHP falls within the range of 20,000 to 40,000 PSI. The term is used to describe the extreme pressures that are used in water jet and abrasive jet machining. Typically pressures range from 20,000 PSI to 60,000 PSI. Most pumps are limited to pressures below 60,000 PSI due to metal fatigue limitations in all areas of high pressure plumbing. The suits at top of this list are designed solely for keeping the user dry . Some of the equipment below is designed for use with pressures starting at 7,000 PSI (500 Bar) and 40,000 PSI (2500 Bar). These pressures are extreme and one should never direct the water pressure at someone even with protective clothing. The water blaster safety equipment is intended for protection in cases of accidents only. Any pressure washer small or large should be handled with great care. 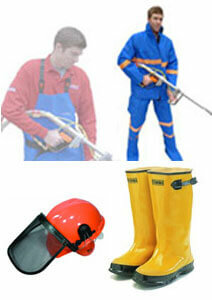 100% Watertight Poratex premium,This water blaster safety equipment consists of two parts (jacket and dungarees). Available in sizes Medium, Large, XLarge, or XXLarge. Boots, Helmet, and Gloves sold separately (see below). Waterproof, flame retartdant, and anti-static material. Complete Coverage. 100% watertight covering whole body include neck and head. Available in sizes Large and X Large. Boots and gloves sold separately (see below). Complete UHP Protection from 5,000 to 40,000 PSI – Full protection for whole chest, legs, and feet. 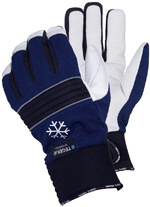 100% watertight worn on both hands. Typically worn with a protective suit. Yellow rubber boots great for foot protection against muddy or water conditions in many different types of environments and workplaces. 100% Watertight. No protection for high pressure. Protection for Foot. For use with manually operated high pressure cleaners. Certified according to inspection standard EN 345-1 (trade association regulations for health and safety at work). This water blaster safety equipment offers protection for feet. For use with manually operated high pressure cleaners. Certified according to inspection standard EN 345-1 (trade association regulations for health and safety at work). Complete protection for the head. Includes ear goggles to protect ears against noise level coming from louder diesel engines, visor to shield from sunlight, and non-mistable face shield (polycarbonate). Available as one size fits all. If you are looking for work efficiency, use these ultra high pressure blaster accessories such as water sandblasting system, rotating turbo nozzles, floor surface cleaners, and pressure gun attachments. Give your boat a thorough cleaning with a Water Blaster. How to safely remove concrete, without damaging the walls of pipes and tubes.